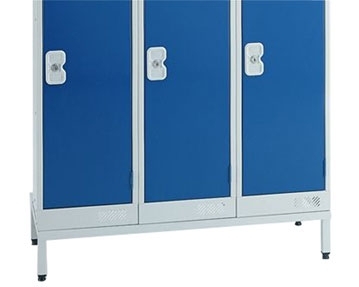 string(22) "Locker Stand & Benches"
Shop from our range of locker room benches to keep users comfortable, possessions organised and cloakrooms tidy. Whether you choose a single or double sided island unit, a freestanding cloakroom bench or some combination of them all, at Furniture At Work you’re sure to get a good deal. 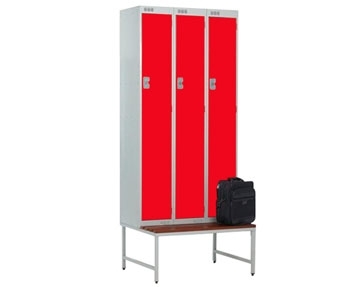 We offer quality locker room benches at affordable prices and understand the importance of being able to customise your furniture to suit you. 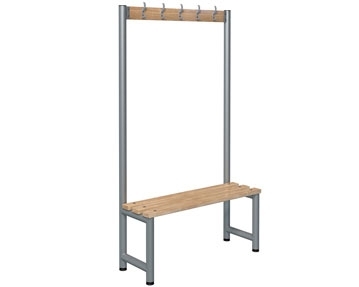 Whether you’re looking for benches for a sports facility, school, hospital, office or building site, you can choose from a range of styles and sizes to get models that fit the bill for your organisation. 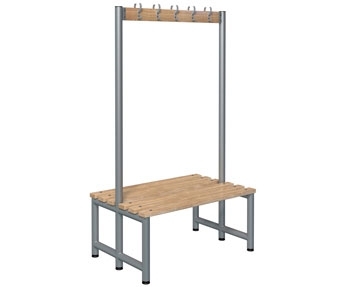 Each frame also comes with adjustable feet so you can position your bench in a way that suits you. 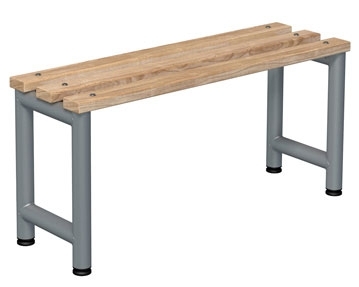 With hardwood seats and an epoxy polyester powder coated steel frame, you can be sure that your new bench will withstand the rigours of daily use and see you long into the future.